Each of these 25 polymer squares was made by different artists following a pattern handed to them. 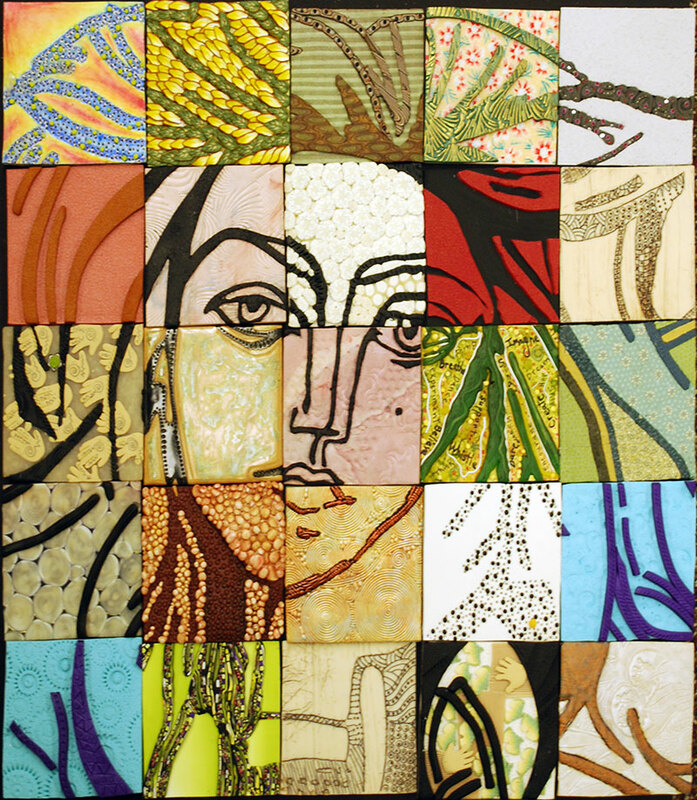 Julie Eakes prepared the Picasso drawing puzzle and the Pingree group created the pieces in 2011. The rules were to reproduce the image you were given and to use a limited palette. No one knew what the whole project would look like. 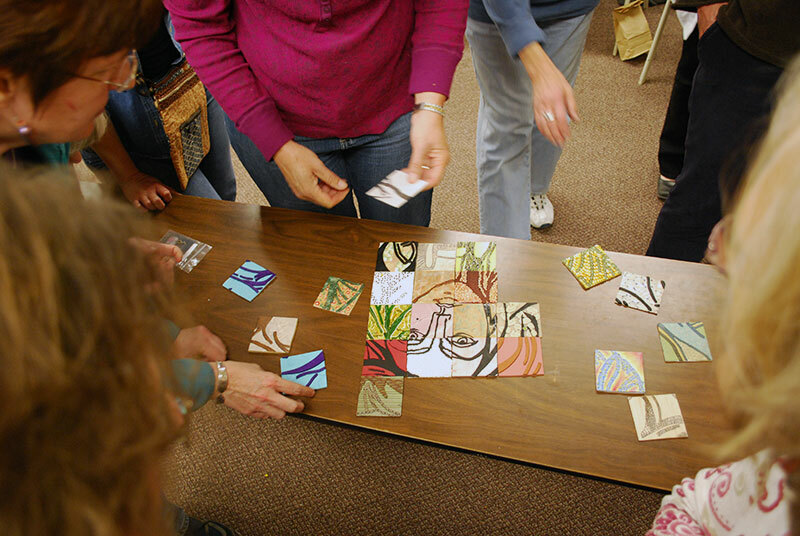 Assembling the tiles into an image was a struggle and a good group project. Judy Belcher and I are trying to assemble a picture of the polymer world for the Synergy conference. When you fill out the first of our surveys on Monday, you’ll be adding your anonymous data to our puzzle. Be ready, pop quiz on Monday. With your help, we’ll begin to see a picture emerging. I’m also assembling the last bits for my Rolling Stones class on Wednesday which will include some faux sea glass tips. Join me online at Craftcast for a fun session. Great collaboration! Kyle might be interested in using this idea with his polymer class in the spring. Really cool! This would be such a fun project to work on!